My aim is to improve the understanding of the rewards and challenges in running a small-scale livestock enterprise and to build the capacity of urban and rural communities to be better able to work together for a sustainable future. The baalissa blog share’s my journey in becoming a small-scale sheep producer and an agricultural professional in rural NSW. Originally from the western suburbs of Sydney, I’m now living and working in Boorowa/Harden NSW. I enjoy the constant challenges agriculture brings and the opportunity to be able to supply food and fibre products to a growing market. 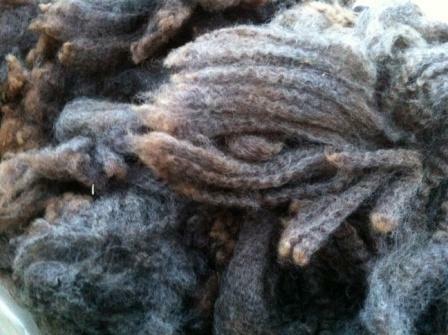 My niche agricultural enterprise is producing naturally coloured Corriedale sheep and fleeces, since 2004. Colours range from black, greys and browns. My wool is 100% processed in Australia. Sheep and lambs are most commonly sold to other small-scale breeders and hand-spinners. Visit our website www.QuebonColouredSheep.com for more information. During the week I work for the Lachlan Catchment Management Authority (CMA). I’m the Catchment Officer for Boorowa, working with local landholders in establishing on-farm natural resource management (NRM) projects, as well as working with community groups in establishing urban NRM initiatives. Prior to joining the CMA, I worked for the Grain Growers Association in Sydney as the Membership and Capacity Building Officer. Key programs I worked on was the Online Agricultural Training Services (OATS) website, the Australian Future Grain Growers Program and the Australian Universities Crop Competition. Travel: I’ve been fortunate to have travelled quiet a bit in Australia and overseas. My interest for wildlife and biodiversity developed while undertaking a wildlife management course in South Africa back in 2004. I’ve also spent 6 months in Quebec, Canada (2002) working in dairy farms and another trip to Alberta, Canada (2006) on a beef cattle study tour. Qualifications: Bachelor of Animal Science (Hons) from the University of Western Sydney (Hawkesbury) and a Graduate Certificate in Agricultural Consulting from the University of New England. Cert IV in Assessment and Training. 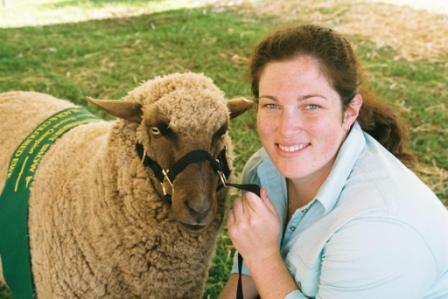 Community Involvement: Hawkesbury Show Junior Committee (2003-2010); Simmental Youth Ambassador (2006); Hawkesbury Young Citizen of the Year (2008); Intercollegiate Meat Judging Coach (2008); Black and Coloured Sheep Breeders Association State Secretary (2010-present); BCSBAA Monaro/ SW Slopes Regional President (2011-present); Art4Agriculture Young Farming Champion (2011). You are a very enterprising person and due for a lot of credit for the determination of your drive regarding sheep etc. melissa.my name is brenda from cobram. I’ve been thinking of adding a flock of sheep(6-8) to my small farm (apiary). Can I be gone three days a week from the farm? Hi David, yes you can be away for a few days every week. Only exception to this is when the ewes are lambing (needed to be checked at least daily) and if any health issues arise that the sheep need daily treatment (this of course is uncommon but something to be aware of). Are you still selling coloured fleece?